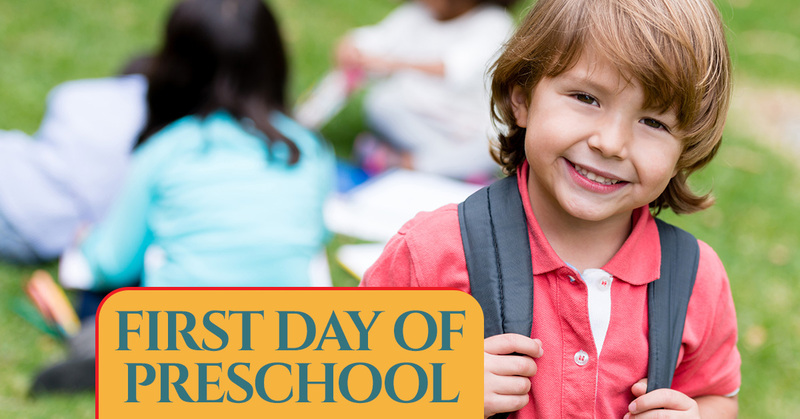 The day has come where your baby isn’t such a baby anymore, and it’s time for their first day of preschool. This can be a difficult time for both the parent and the child. It’s a huge transition, and it may be the first time your child will be assimilated into a group of peers of their own. While this may be a scary time, it’s also a great time of opportunity for you and your child. It’s important that you prepare your son or daughter for this big day in every way possible. Here are some ways to get your child ready for this upcoming change. It’s important that you have fun with your child in the weeks leading up to their first day. However, it’s equally important that you keep your cool during this time. Prepare them in a discrete manner, so you can avoid getting your child worked up. Reading stories to your child about characters and their first day of school can give them an idea of what their first day might be like. After reading the book, ask your child if they related to anything in the book and if there was anything that the main character experienced that worried them. This will help to get the dialogue about your child’s worries before the big day arrives. While many toddlers are able to talk, not many are able to fully communicate. 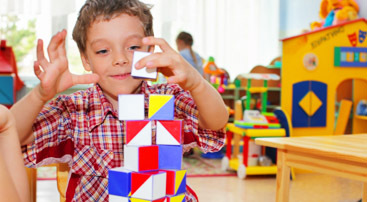 If your child begins “acting out,” this could be a sign that they are worried or anxious. Another way to tell if your child is experiencing worry about their upcoming transition is that they are also reverting to other habits. For example, a potty trained child might begin wetting themselves again or they might ask for assistance in things they can do themselves. It’s important that you are doing things for your child on a timely basis, and you can do this by setting up a timeline of preparation. Create a two-week preparation plan. In those two weeks, you should take your child shopping for their school supplies, such as a backpack. Establish some independence with your child by allowing them to pick out the backpack and other school items. Once you have done your shopping, label all the items with your child’s name, and don’t forget to add the teacher’s name on everything as well. If you haven’t gotten your child accustomed to a regular bedtime, it’s especially important that you start doing this. Two weeks gives you and your child plenty of time to adapt to a schedule before school starts. On the night before school starts, take time to prepare everything for the morning. Have them choose an outfit and even have them help you pack their lunch. From there, make sure you’re asking them about any worries they have and help ease their fears. When the big morning arrives, make sure your child is up and running with plenty of time for breakfast and to pack everything into their backpack. Leave with enough time to park and walk your child into class to help make their transition easier. Explore the classroom with them and help them meet some of the other children. When you see that your child is comfortable, it’s time to leave. Here at Learning Wonderland Preschool, we know just how worrisome this whole process can be for parents and the children. Our staff is dedicated to making your child comfortable at school so they can get the most out of their childhood education. We make sure to work with your child and provide a caring environment that helps them get comfortable with the idea of being away from you. We also want parents to be able to relax when their child is under our care. Our daycare places a high priority on putting parents at ease, so they can feel comfortable with leaving their children in our care. 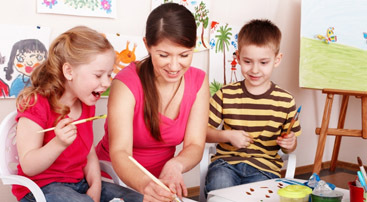 If you’re looking for a daycare that offers kindergarten readiness, then don’t hesitate to call us at Learning Wonderland Preschool. 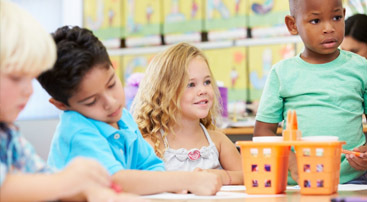 We will help your child learn and prepare for grade school, while also teaching them how to interact with other children and social situations. Give your child the education they need and share their learning experience with us.